In a decade of innovation, smart watches need smart wireless charging! For the teen, the businesswomen or man, the mother or father, the fashion-lover, tech savvy or just for the fun, smartwatches are fast-approaching to become mainstream. 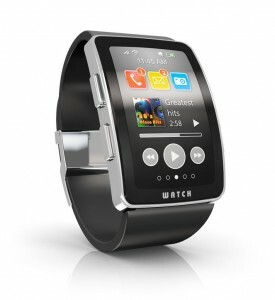 With varying features and advantages smartwatches are beginning to make their footprint as a personal computing device. Whether by providing fitness and wellness services such as running health applications, tracking steps, tracking heartrate and any other sensor-related features. Or by providing different mobile functions such as showing notifications, sending messages, answering calls, providing directions and the like. The different smartwatch devices vary in their offered features as well as their look and feel, however, most encounter the same underlining obstacle—battery life and finding a convenient charging solution. With the running applications and features provided to make the smartwatch the device it is envisioned to become, battery life is undoubtedly an issue. Smartwatch manufacturers have struggled to find a way to most unobtrusively charge the device so consumers wouldn’t view it as a hassle. At the end of the day, it would be silly to have so much innovation plugged to a wire. That’s why wireless charging for smartwatches is the new direction of the innovative world. The ETERNA platform provides a comfortable wireless charging solution and makes innovation accessible to everyone and eliminate completely the need for a USB port. By blending wireless charging seamlessly into life you can charge without even noticing, it can be as simple as dropping your smartwatch in a box before bed. Smartwatches are expected to make a big splash with other highly anticipated future features such as video chat, mobile payment, public transportation ID, child monitoring and identification capabilities. This will all assist in making the smartwatch more personalized than ever and more integral in our lives and our daily activities. It is therefore priceless that we be able to rely on our smartwatch battery to be fully charged at all times in order to enjoy all its benefits. If you are a smartwatch OEM and interested in integrating wireless charging into your device in order to provide consumers with an easy and natural charging experience, please feel free to contact us.